Passage got their CWSSL U14 Div 2 league campaign off to a winning start when they defeated Park Utd 3-0 in the season opener at Rockenham Park in Passage last weekend, all three goals coming in the first half. Passage, playing in unfamiliar red jerseys due to Park Utd’s similar strip, were playing ‘up’ in the first half and had the first chance on goal as early as the first minute when Beibhin Healy, despite being tackled by two defenders, managed to shot narrowly wide. Park Utd keeper Fiona O’Flynn did well to block Jane Finlay’s cross in the tenth minute, while Passage almost went ahead in the 15th minute only for Finlay’s effort to clip the crossbar and go over. By the 21st minute the home side took the lead when a 25 yard free kick from Ellie Maxwell went straight through a packed area and into the back of the net for the opener. Five minutes later Passage doubled their score when Healy drove through the centre and slotted the ball home from inside the area. 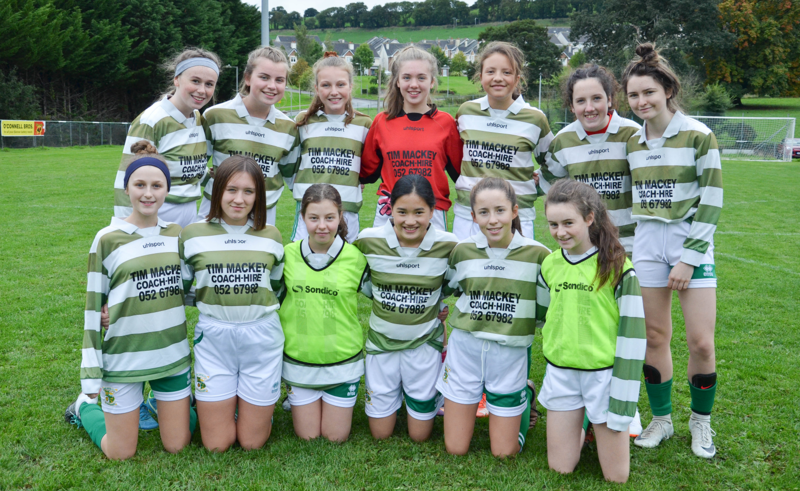 Park Utd attempted to get back into the game, but couldn’t break through the Passage back line and lacked the killer instinct in front of goal with chances falling to Emma O’Grady and Laura Corbett as the home sides defence stood firm. Passage increased their lead even further just before the break when Muireann Deasy fought off two defenders and banged the ball into the net despite the best efforts of Fiona O’Flynn in the Park Utd goal. 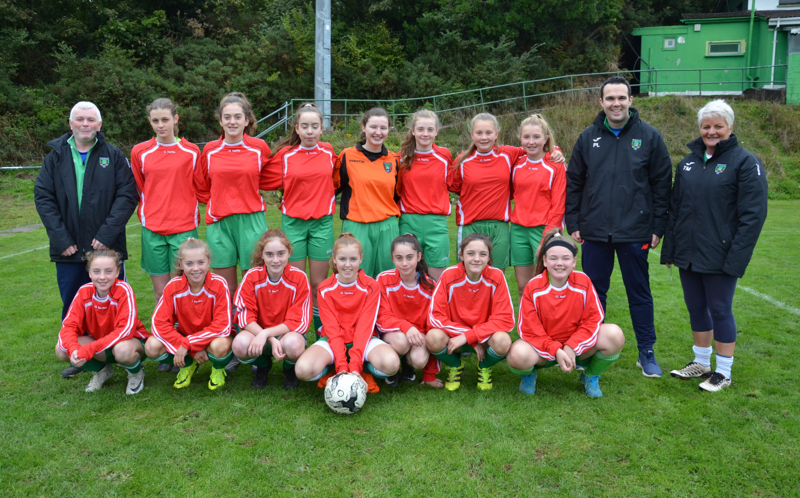 Park Utd had a good chance at the restart when Eabha Burke drove forward only to see Kara Dunne cover her attempt on goal in the first minute as they pressed forward, but couldn’t get a decent shot in at goal. 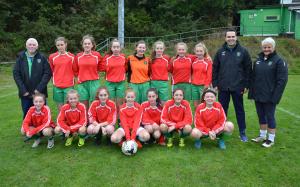 Beibhin Healy of Passage had a good chance in the 58th minute, but substitute keeper Eabha Burke did well to turn it over for a corner, the resulting kick being sent over the bar. Passage almost added a fourth late on in the game when Muireann Deasy sent a high ball into the area, its bounce deceiving Burke but came off the crossbar and cleared as the final whistle went, as Passage had claimed their first win of the new season and all three points on the day.